About 400 illegal gold miners invaded a farm that belongs to former Zimbabwean first lady, Grace Mugabe. Local newspaper Newsday reports that Mugabe was touring the farm, located in the northern village of Mazowe which is some 40 kilometres north of Harare, when she ran into the miners. They were allegedly uprooting lemon trees, digging shafts and loading gold ore into lorries. 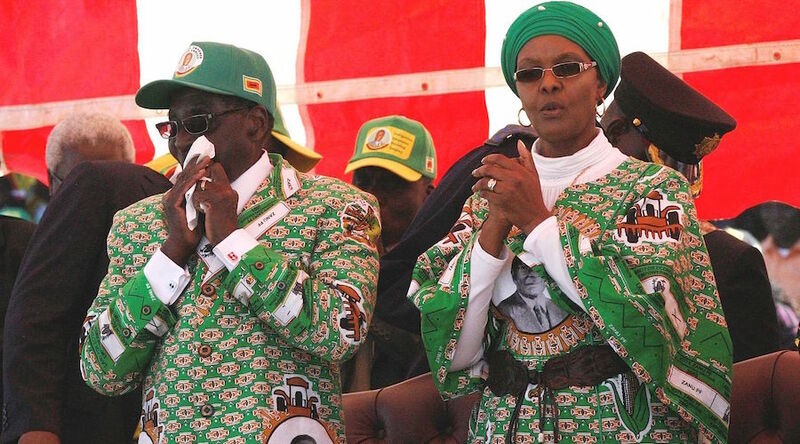 “When Grace arrived at the farm and tried to confront the panners, they immediately broke into Kutongwa Kwaro, a song by Jah Prayzah synonymous with President Emmerson Mnangagwa’s ascension to power at the expense of her husband, former President Robert Mugabe, who was ousted following a military intervention,” Newsday’s story reads. In the verbal confrontation with the politician, the so-called “zama zamas” said that if Mugabe wanted them out, she would have to speak to their boss. They claimed they were employed by a Chinese miner but declined to provide a name. Following the altercation, Mugabe brought the matter to the police. “The crowd, which was being led by one known as Nyazvigo, started to shout obscenities at me and continued with their unlawful activities. The illegal activities have since destroyed my irrigation infrastructure, which feeds lemons pool section, and there is massive land degradation," the former first lady’s police statement reads, according to a Business Live report. The situation forced Mugabe to have a taste of her own medicine. Back in 2015 and under her command, police destroyed maize and groundnuts crops on the same farm when they forcefully evicted villagers to take control of the land.